It’s the last party of our series at Silent Barn. 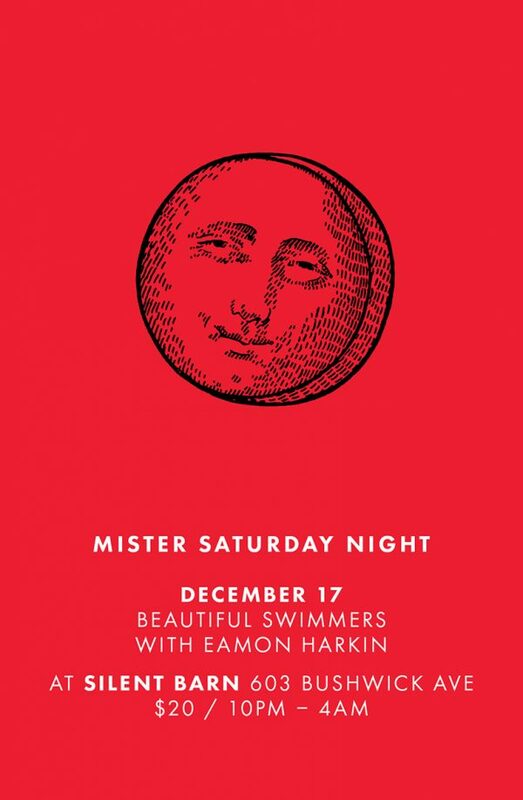 To close it out, we’ve invited down Beautiful Swimmers to play with Eamon. The Swimmers are Max D and Ari Goldman, two guys that have had substantial influence on modern dancefloor tastes, not only through their own masterful DJ sets but also through their productions, through Max’s label Future Times, and through Ari’s presence at the hallowed Earcave record shop in DC. The guys will be sharing the whole evening with Eamon, and we’ll all be sharing in a very, very good time. Tickets are here. See you there.